I had the opportunity to share the magic of printmaking with children and their families in the Daniel F. and Ada L. Rice Art Studio. My art process is a form of play and investigation of color while studying objects found in nature. I introduced families to a “cabinet of curiosities” as a point of inspiration. 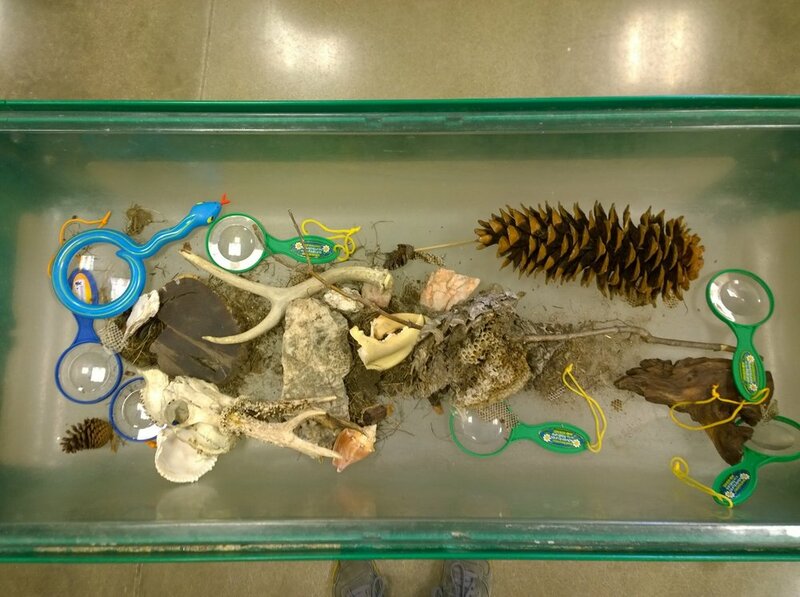 Natural materials such as leaves, pine cones, sea sponges, antlers, moss covered bark and shells were available for children to handle and examine. 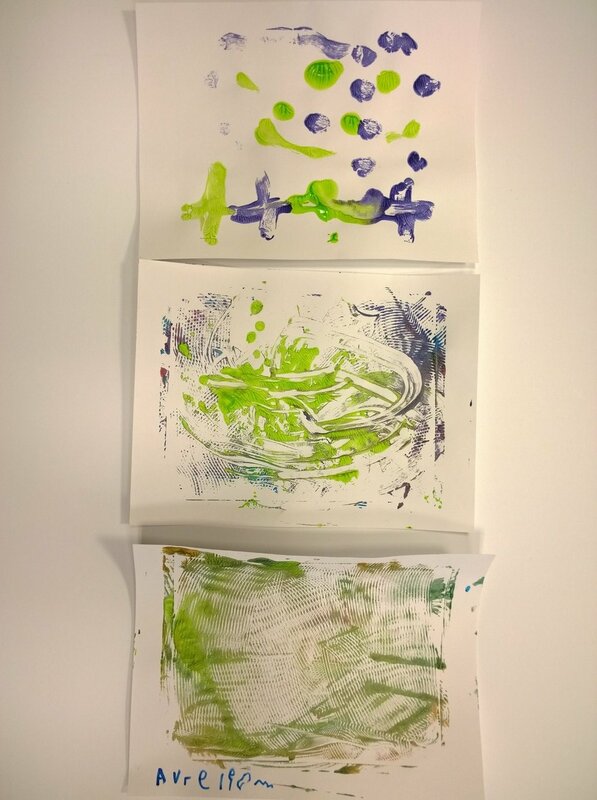 Children used real printmaking tools like brayers and spatulas to spread paint onto a large sheet of plexiglass. . I emphasized on mixing colors and the surprise and wonder of combining colors. Children used coarse, dry brushes to create textures and make marks in the wet paint. Rubber tipped tools, combs and Q-tips were used to draw through wet paint. The process of painting on plexiglass and transferring the image to paper is called monoprinting. The process is open-ended and can be repeated multiple times. I have found that children enjoy using tools familiar to them, a hair comb, as a tool for art making. We also investigated the relief printmaking process. The relief print is created by rolling ink on the raised surface of a carved block. I will share a small collection of carved wood blocks from India, originally designed to print on textiles. Children inked these blocks and printed multiple times onto their round blotter paper. Paint colors were mixed as each layer was added. Once printed, their original designs were installed together in the window of the studio. The result was a visual note-taking of color and texture. The hands-on quality of the printmaking process celebrate each child's creativity and exploration of materials.